Public administration and policy analysis education has long emphasized tidiness, stages, and rationality, but practitioners frequently must deal with a world where objectivity is buffeted by, repressed by, and sometimes defeated by, value conflict. Too often public administration education has failed individuals who must deal with the hustle and bustle and complexity of policymaking. Public Policy Praxis equips students to grapple with ambiguity and complexity. By emphasizing mixed methodologies and through the use of cases, students are encouraged to develop a workable and practical model of applied policy analysis. Throughout the book, Clemons and McBeth argue that pragmatism demands that analysts learn to think politically and to understand that public problems are socially constructed. As such, in addition to analytical models, the authors examine specific tools of policy analysis, such as stakeholder mapping, content analysis, group facilitation, narrative analysis, cost-benefit analysis, futuring, and survey analysis. Students are given the opportunity to try out these analytical models and tools in varied case settings (county, city, federal, urban, and rural) facing wide-ranging topics (economic development, expansion of human services in an urban area, building a health care clinic in a small town, an inner-city drug program, and the bison controversy in Yellowstone National Park) that capture the diversity of public policy and the intergovernmental nature of politics. 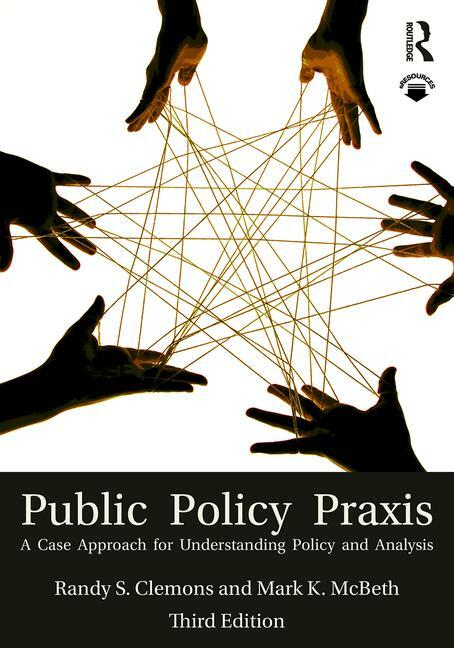 With chapters written to the student and in a nearly conversational style, Public Policy Praxis is an ideal textbook for undergraduate and graduate courses in public policy analysis, community planning, leadership, social welfare policy, educational policy, family policy, and special seminars. Randy S. Clemons is Professor of Political Science and since 2009 has been the Dean of the School of Social Sciences at Mercyhurst University, USA. Mark K. McBeth is Professor in the Department of Political Science and Associate Dean of the College of Arts & Letters at Idaho State University, USA.